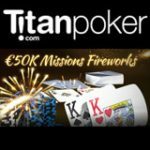 Good news for Pot Limit Omaha Poker players, at Titan Poker every week players of all limits can participate in a promotion entitled Omaholics. 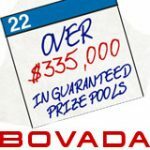 There will be a hand rake leaderboard with cash prizes for the top 40 places of each limit, adding up to $140k throughout the promotion dates. 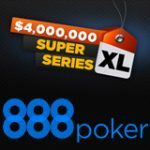 Titan Poker have also added a $8,000 guaranteed Omaha tournament series which begins on the 21st September this will be a weekly Monday Night Omaha tournament. 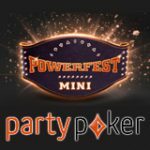 Get a 150% of your first deposit matched up to $600 including a $25 instant poker bonus plus five first deposit satellite freeroll tokens. 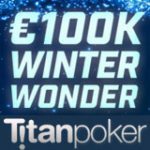 Use WAP as your TitanPoker bonus code. The Titan Poker Omaholics promotion will have a weekly Omaha Leaderboard where Pot Limit Omaha & Omaha Hi-Lo players of all limits can win their share of a $140,000 in September and October. The leaderboard positions are determined by the amount of raked hands played. Titan Poker players who rank in top places in the leaderboard will also get a free entry token to a freeroll satellite tournament which pays out four seats to the Monday Night Omaha tournament. Titan Poker will host a weekly Omaha Poker tournament every Monday night, the tournament will have a $8,000 prize pool. 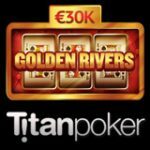 Titan Poker have also added restricted tournaments, to their schedule, for residents of Canada, Australia and South America. The starting times are set to evening tournaments for each country and there will be a range of limits to choose from.